Sometimes, lesser known cities make the best weekend getaways because you can explore everything and get the most out of the city in a lesser amount of time. With convenient transportation options, it’s not difficult to visit the city’s major tourist attractions and discover the hidden gems that Perris has to offer. If you’ve got a passion for trains and all things locomotive, the Orange Empire Railway Museum is bound to impress you. 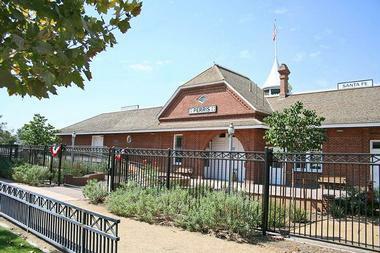 The museum is home to the West’s largest and most expansive collection of railway related artifacts, with some of their items dating back to the 1870’s. 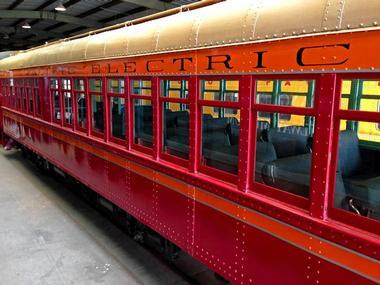 Explore collections of railway locomotives, freight cars, passenger cars, interurban electric cars and more, or hop on the working streetcars, trains and electric cars on the museum’s railway. With over 200 streetcars and railway vehicles to explore and discover, there’s no doubt that visitors will get transported back in time to experience the early days of diesel, steam and electric railway travel. 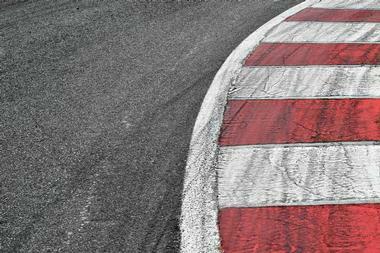 You don’t have to look further than Perris to visit a state-of-the-art racetrack. Built in 1996, the Perris Auto Speedway is a half-mile clay oval track with a raised back to allow all spectators a chance to catch all the action. A multitude of races take place at the Perris Auto Speedway with race cars of all kinds speeding down its tracks. From USAC and CRA Sprint Cars to more affordable American Factory Stocks, each race fills the speedway with a vibe that can only be described as electric. The speedway is located on the Lake Perris Fairgrounds and is just an hour’s drive from both Los Angeles and San Diego. 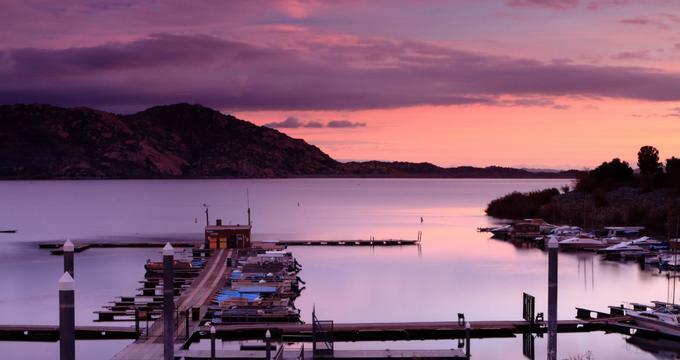 Open seven days a week, the Lake Perris State Recreation Area is an incredible place to visit in Perris for outdoor activities and the use of recreational facilities. Those who want a day frolicking in the water can head to Bernasconi Beach, while individuals who want to test their strength and mettle can spend some time at the Big Rock climbing area. Boating is another fun activity to participate in as the lake’s surface can accommodate roughly 450 vessels. 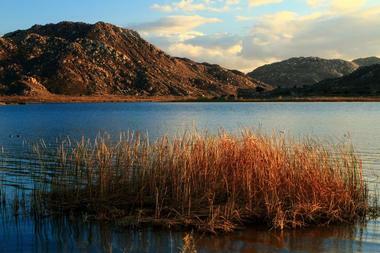 Don’t forget to spot as many of the endemic wildlife as you can and to explore the many trails that wind around the Lake Perris State Recreation Area. A non-profit organization dedicated to the care and wellbeing of animals, Mr. Joe’s Farm is an exciting attraction for visitors who have a love for animals. The farm is a great place to bring your youngsters as it teaches appreciation for rural living, the basics of small space gardening, and gives tips for healthy and stress-free living as well. Apart from the petting zoo and the educational opportunities, Joe’s Farm also offers fantastic home-produced goods such as eggs, goat milk, compost, sheep wool, alpaca fiber and more. Don’t forget to spend some time getting to know Mr. Joe himself along with his wife, both of whom have unparalleled passion for the simple and healthy life. Dedicated to gathering, protecting and preserving the history of the Perris Valley, the Perris Valley Historical Museum maintains a collection of artifacts, historical art, cultural art and natural science within their beautiful brick home on West 4th Street. Guests are welcome to peruse the museum’s exhibit at their own time and pace or participate in guided tours that offer inside information about many of the objects in the museum’s permanent collection. In addition to well curated exhibits, visitors to the Perris Valley Historical Museum can also participate in events that foster community building and partnership with other art and history loving individuals. The heart and soul of Wings of Valor is undoubtedly a love for flight and the aircraft that makes this possible. With a fleet of classic, antique and tail wheel aircraft in their hangars, Wings of Valor gives their guests an insight into the history of their aircrafts as well as the legacy of flight as a whole. The greatest draw to Wings of Valor, however, is undeniably a trip on their many aircraft. Guests can choose from several kinds of aircrafts to book a flight on and get an up close look at how the plane is flown and what mechanisms make each one special. Some of the planes that the Wings of Valor have access to include the Great Lakes Aircraft Company 2T-1A Sport Trainer, the PT-17 Boeing Stearman, and the DC-3. 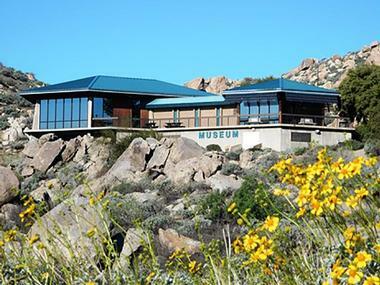 Known in English as the “Home of the Wind”, the Ya’i Heki’ Regional Indian Museum is one establishment in a series of state-funded regional museums in California with a focus on Native American History. At the heart of the museum’s exhibits is a comprehensive interpretation and showcase of the cultures of southern California’s native tribes. Ya’i Heki’ also provides visitors with an educational look into indigenous cultures. As a bonus, the museum also displays southern California’s endemic fauna and flora and recreates the bio-region that early Spanish explorers would have encountered when they first arrived on American shores. Standard tours at the museum include a full round through the Regional Indian Museum, a Natural Sciences program, and a Native American craft making activity or game. Home to one of the world’s largest skydiving centers, Skydive Perris is the place to go for skydiving when you’re in California. For over 40 years and counting, the center remains a family owned and operated business and you can bet your bottom dollar that every person working here has the adrenaline from skydiving flowing in their veins. Skydive Perris boasts fantastic people, awesome airplanes, incredible drop zones and spectacular skydives, and welcomes visitors of all jump levels. Even spectators are welcome to come and see the jumps take place. For those who want to know a bit of what they’re in for, Skydive Perris is also one of the only two skydiving centers on the globe with an indoor skydiving simulator inside the premises. Some people aren’t quite ready to hurl themselves out of an aircraft soaring through the skies, and that’s totally okay. If this is you but you still want to get a feel of what skydiving is like, the Perris Indoor Skydiving Facilities has got you covered. The facility allows you to experience what a free fall is like without jumping out of a plane through a massive vertical wind tunnel. 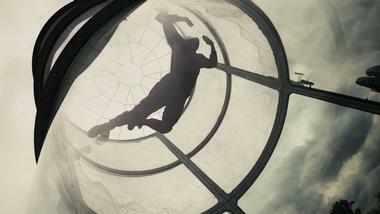 The tunnel creates a wall-to-wall cushion of air that nearly perfectly recreates a plane jump. Perris Indoor Skydiving is ideal for beginners but can accommodate all skill levels from the age of 3 and up. Tuck into mouthwatering home-style cooked meals and baked goods at Corky’s Kitchen and Bakery. Corky’s was opened way back in 1999 when Mike and Jennifer Towles were inspired by their Grandma Corky’s passion for cooking and feeding others. Today, the restaurant does things just the way Gradnma Corky did them, making everything from scratch with only the best ingredients available and a whole lot of love. Meals at Corky’s won’t just fill your tummy, they’ll warm your heart too, as each dish that leaves the kitchen is filled with the love and care that Grandma Corky passed on to the next generations of her family. Relax, enjoy a great meal, and stay as long as you like. Feeding hungry locals for over 20 years, Harry’s Café is undeniably a Perris favorite, especially when it comes to café and drive-thru classics. It doesn’t matter what time of the day you stop by; Harry’s Café definitely has something for you. Patrons dropping by in the morning can kick off their day with an ultra-hearty breakfast, while afternoon visitors can grab a quick lunch between a busy work day. Dinner guests can tear into a delicious and sumptuous dinner, too. With spectacular service and a great café atmosphere to boot, Harry’s is a great option for people who want to eat a yummy meal with generous portions. There’s nothing quite like the sound of meat hitting a flaming hot grill to get your salivary glands working on overtime. First opened in 1958, Sizzler, or the Sizzler Family Steak House as it was known back in the day, is the ultimate spot in Perris to satisfy your meaty cravings. Specializing in a classic steak meal, Sizzler uses only USDA choice steak cuts for their meaty feasts, all of which are cut fresh right in the kitchen and cooked to perfection over an open flame. Promising great meals and affordable prices, Sizzler’s hand-cut steak menu features an 8-ounce Tri-Tip Sirloin, a 12-ounce New York Strip and a 14-ounce Rib Eye.